How to watch The Avengers (2012) on Netflix Singapore! Yes, The Avengers is now available on Singaporean Netflix. It arrived for online streaming on March 3, 2018. 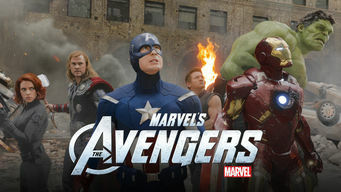 We'll keep checking Netflix Singapore for The Avengers, and this page will be updated with any changes. An all-star lineup of superheroes -- including Iron Man, the Incredible Hulk and Captain America -- team up to save the world from certain doom. Iron Man. The Hulk. Captain America. Thor. If these guys can't save the world, we're all doomed.